Ranch work. - Love it or Leave it? 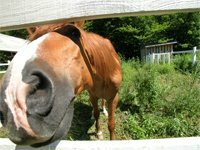 Running a ranch and horse boarding - top 10 things to consider before jumping in! Owning a horse is like having a giant pit which you always have to fill up with money. They eat a lot, they need expensive pedicures more often than a diva, and veterinarians arent cheap either. Still set on this lifestyle? but I will tell you the good parts later. Move From Ranch Work Back To General Horse Care.